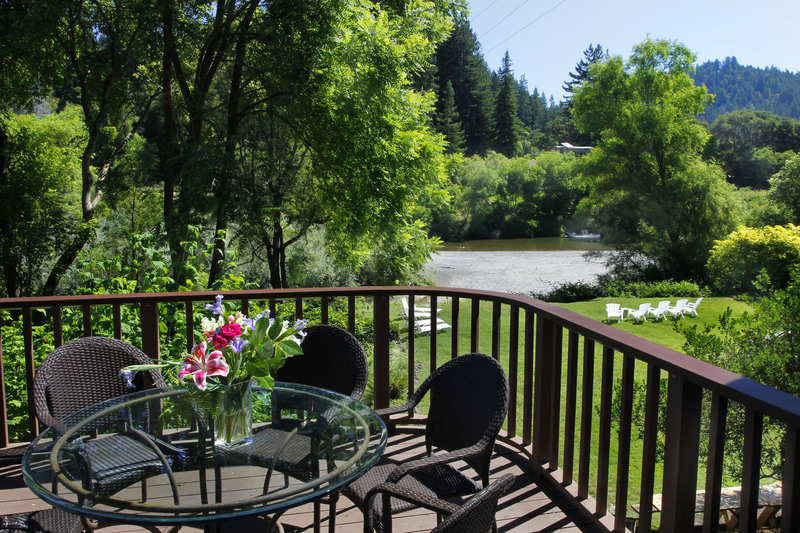 Guerneville Restaurants — 4.5 miles east of Monte Rio on Highway 116. Focuses on locally sourced organic produce, sustainable fish, local meats, and artisan cheeses. Open Wednesday through Saturday. Casual North Beach style Italian Restaurant, featuring homemade pastas, soups and handmade pizzas. Delivery available. Contempory America cuisine. The chef may be changing. Limited hours – check their website for updated information. Eclectic selection of fresh pasta, pizza as well as other entrees sourced with farm-to-table ingredients. Closed Monday and Tuesday. Make your way over to a Big Bottom Market for their award winning biscuits and a cup of coffee. You won’t be disappointed and you won’t want to eat just one. California bistro with menu of small plates, salads, and seasonal main dishes. Maximum party of six. No reservations or delivery. Closed Wednesdays. Calfornia-French cuisine with a Southeast Asian influence. Hearty breakfasts, lunches and generous BBQ menu. Pizza, pasta & tapas offered in a cozy venue featuring live acoustic music from cabaret to jazz. Restaurant expansion now complete including a new dining room, liquor and wine bar, and lounge. Menu features local, sustainable and organic ingredients. Artisanal ice cream handmade in small batches. Traditional American breakfast and lunch, with a few additions from the night-time Korean menu. Restaurant is closed Monday and Tuesday. Bar is open all week. Classic old-fashioned American diner & grill serving breakfast and lunch. Laid-back, wood-paneled brewpub with a roomy deck serving burgers, sandwiches & local craft beer. Traditional Mexican food in a casual environment. Mellow, artsy tavern featuring American food and a full bar, plus live local musicians. Closed Mondays.